The sniper rifle can simulate a bolt action, Remington M-24, or a semi-automatic Dragunov SVD rifle. With its 3 by 9 scope, this weapon allows targets to be hit from the most extreme range, at a maximum range of approximately 300m! No other weapon can frustrate an enemy like our Morita Sniper, as targets are eliminated with a single shot, regardless of their current health. Simulating the semi-automatic Russian Dragunav SVD is for players of all skill levels. Featuring a 10 shot magazine, a 3 second reload time, and a semi-automatic firing mode, the Dragunav SVD is excellent at taking out enemies at range. 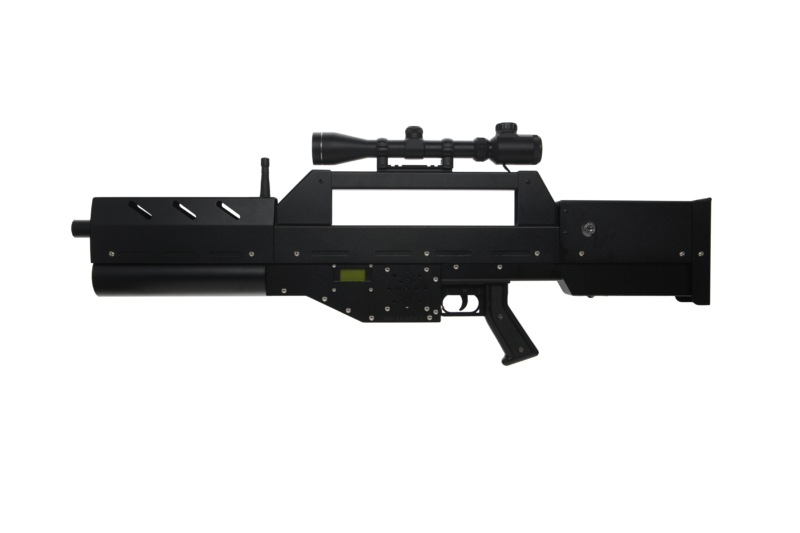 The Dragunav SVD is a popular sniper rifle in many first person shooter video games as well. You can read more about the history of the Dragunav SVD on Wikipedia. Simulating the bolt action M-24 is for advanced players. Featuring a 6 shot magazine and a 3 second load time, players must open and close the bolt after each shot. Having to manually load each round takes a more conscious effort to engage the enemy. You can read more about the history of the Remington M-24 on Wikipedia. Select the sniper rifle class if you want to laser tag at the maximum range. The sniper rifle with a zoom scope does not do well in close quarter battles, as it is difficult to aim properly, unlike the standard red dot. Check out the video below for more information.